This was our first visit to the Botanical Garden, and I don’t know what took us so long to get here. 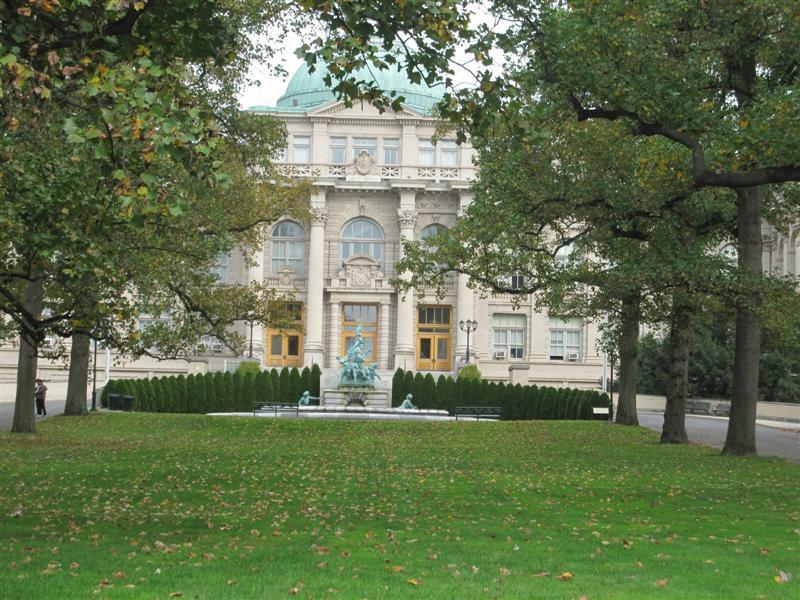 It’s a tucked-away treasure in the Bronx, a National Historic Landmark, with 250 acres of rolling hills, waterfalls and ponds, forest, rock outcroppings, and the Bronx River, along with several historic buildings. Within one of these, the Mertz Library has the world’s largest horticultural and botanical library! 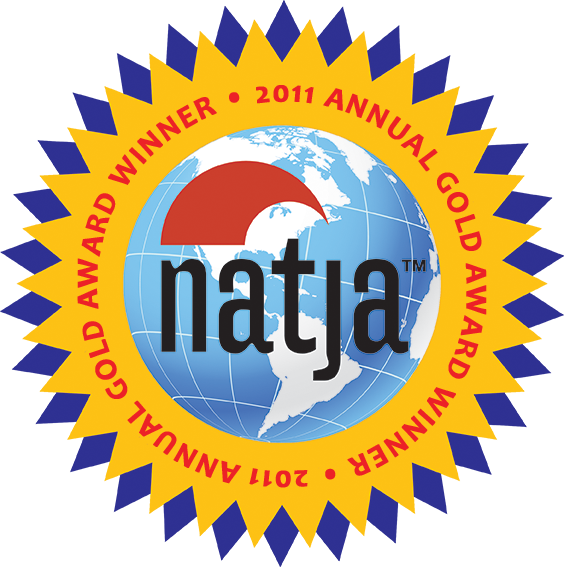 There are 50 themed gardens containing more than one million plants. The kids were really enjoying the walk – until they weren’t – and then they really enjoyed riding the tram around the perimeter of the park. 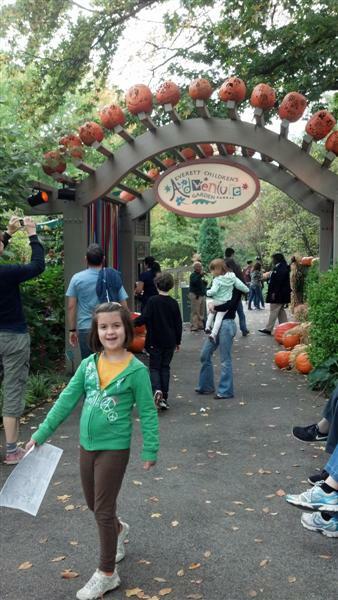 The Haunted Pumpkin Garden takes place in the Children’s Adventure Garden, and along the trail you’ll find 500 pumpkin sculptures of scarecrows, spiders, snakes, and more. We spent over an hour just exploring the children’s garden, which also contains an indoor discovery center, a puppet theater, a few guided craft activities, as well as wooded walking trails, a maze, and a rocky area perfect for climbing. 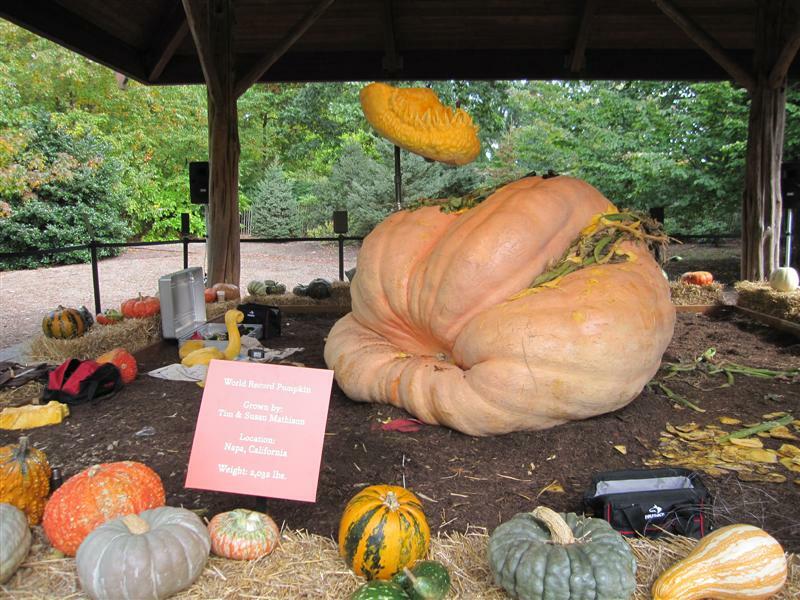 The world’s largest pumpkin, at 2,032 lbs. Did you that during peak growing season, pumpkins can grow up to 50 lbs. a day?! 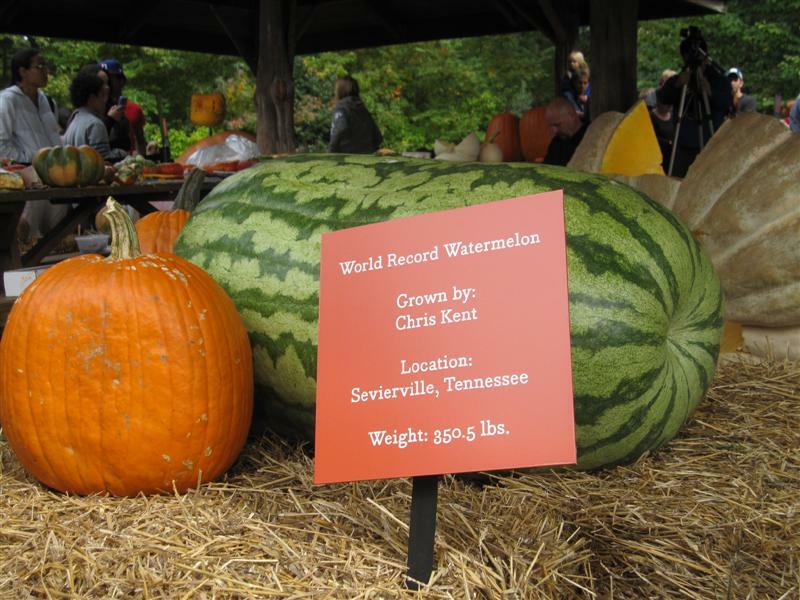 The world’s largest watermelon, at 350 lbs. 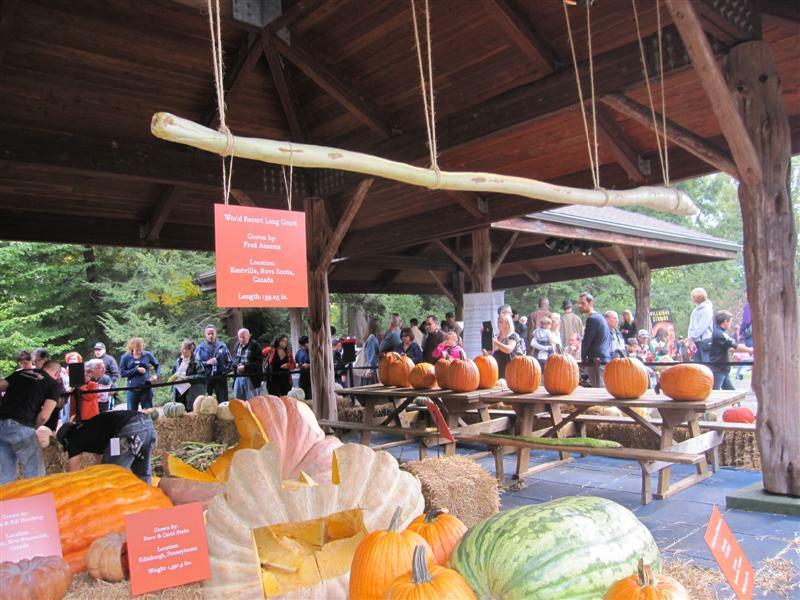 And the world’s longest gourd, at 134 inches. 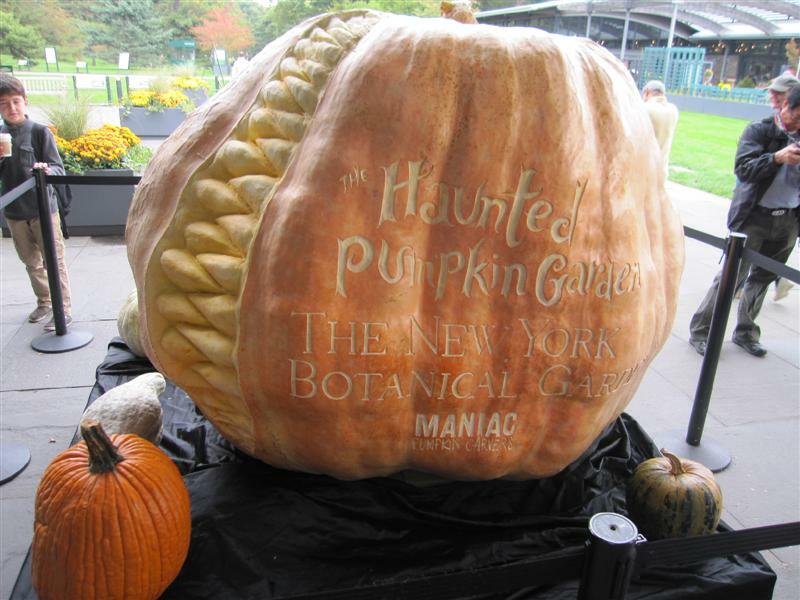 Master Carver Ray Villafane of Maniac Pumpkin Carvers was on hand with his crew, working over a giant pumpkin. We know that the plans are to create a sculptural display of carnivorous plants, but the work was still in progress when we were there, so you should show up on Sunday to see the final product! Here’s what the carving looked like. They used a lot of scary-looking tools. Poor pumpkins never had a chance. Wow! Those are some massive/impressive pumpkins. Reading this post really makes me miss Thanksgiving back in Canada. Those are amazing!!! Who knew they could grow so large? Cool post. I don’t understand what people actually do to grow such a large pumpkin. Is there any kind of some magic or something else…? Anyhow, their effort is really appreciable. I have never seen pumpkins that large in real life. I have only seen photos. These photos make me want to hop on a plane and actually experience them up close and personal. P.S. How many pumpkin pies do you think you could make with one of them?